While visiting Birmingham, Alabama, a few weeks ago, we followed the recommendation of TripAdvisors and visited the Sloss Furnaces. We read that this was an industrial museum. There is no admission fee and, after checking in, you are free to wander around on your own. If you are into architecture, industry, or photography – this is a place you must see. The city of Birmingham was formed to exploit the raw mineral resources of the area. Every ingredient necessary – coal, limestone, iron ore – to make iron was found within a 30 mile radius. In the 1870s, after a long financial depression, demand for industrial products was picking up throughout the nation. Agriculture had been the basis for Alabama’s economy, but the demand for cotton on the world market had declined causing people in the rural areas to seek out work in the mines, mills, and blast furnaces. Birmingham soon grew into the South’s leading city for heavy industry. 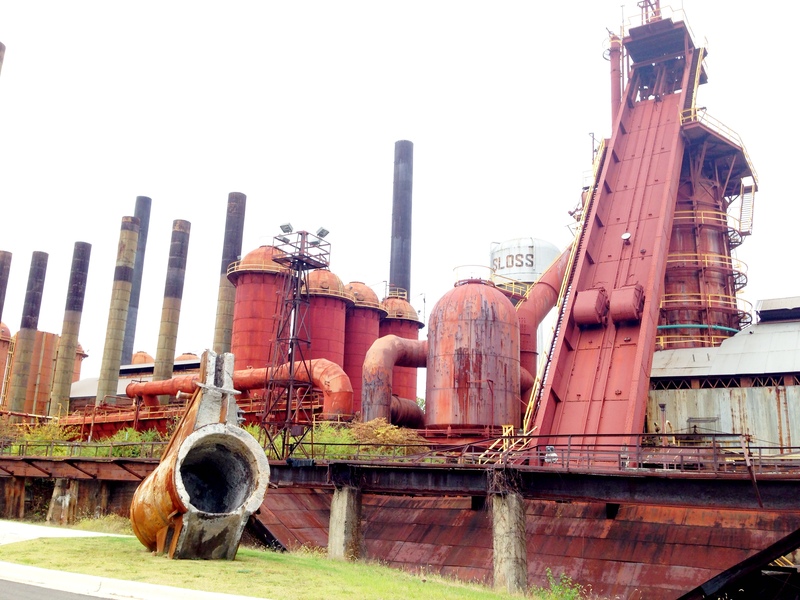 Due to plastic pipe, ductile iron, foreign industry, and the Clean Air Act of 1970, Sloss Furnaces closed in 1971. 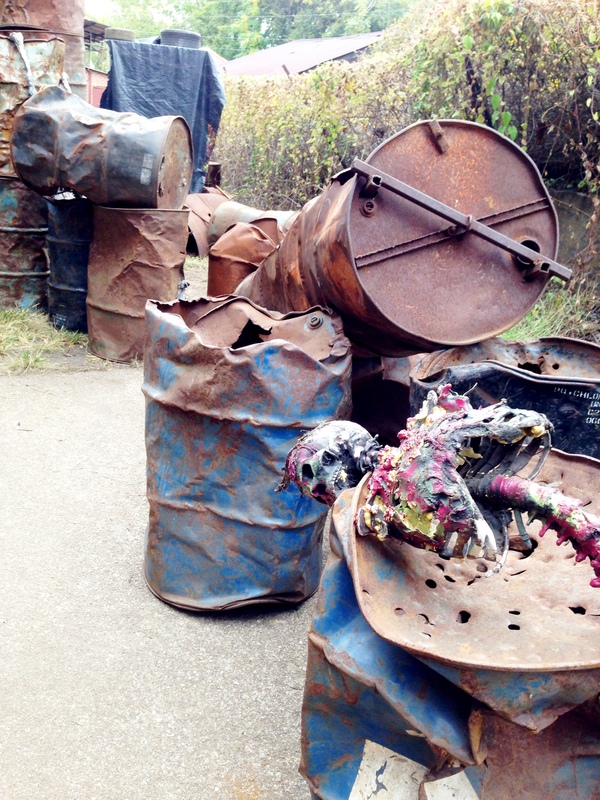 In 1977 voters approved a bond to convert the furnaces into an industrial museum. Work commenced to restore the site and make it accessible to the public. Currently it is the only twentieth century blast furnace in the nation being preserved as an industrial museum. 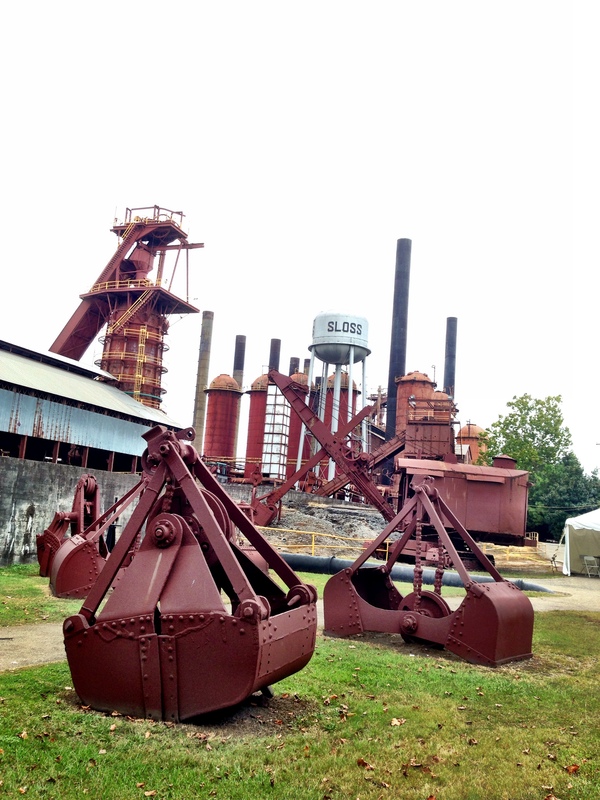 Sloss Furnaces is used as a backdrop for many concerts and community events. 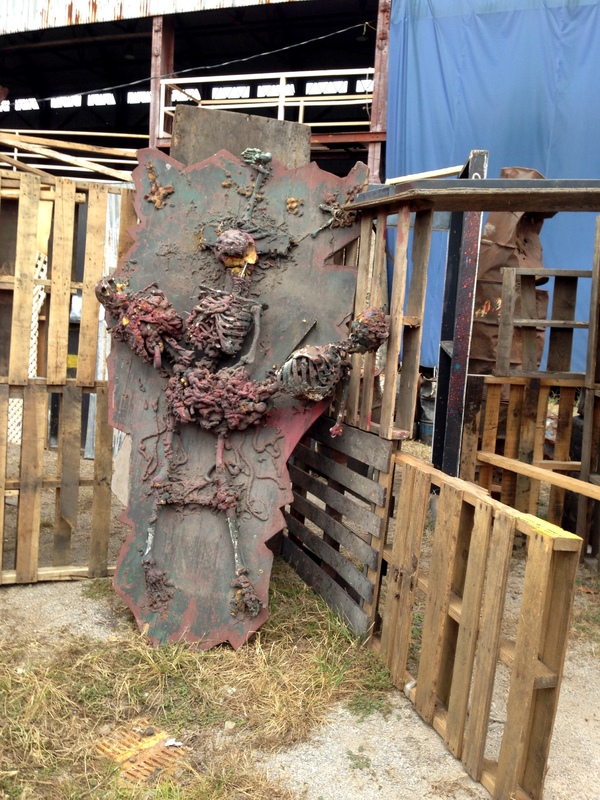 As we wandered around the site, we came across preparations for their annual haunted house. Incidentally, the site has been featured on Ghost Hunters. I thought it would be appropriate to post this theme today, on Halloween. Categories: 52 week photo challenge, Architecture, industry, Travel | Tags: "A diamond is a chunk of coal that did well under pressure. ", 52 week photo challenge, architecture, Birmingham Alabama, coal, Halloween haunted house, industry, Sloss furnaces | Permalink.